What Is Considered a Low-Sodium Diet? About How Many Calories Does 2 Ounces of Deli Ham Have? How Much Sodium Should Toddlers Have? Can You Lower Sodium With Yogurt? How Much Sodium Per Day for Teenagers? How Many Milligrams of Sodium Should I Have in One Day? Many American consume well over the recommended daily amount of sodium, or salt, according to the American Dietetic Association. Over time, this can cause high blood pressure that leads to kidney disease, heart disease and stroke. It is important to understand how many milligrams of salt you should consume each day and how you can manage your sodium intake. The recommended amount of sodium that you should consume in a day depends on your age. Children ages 2 to 3 need 1,000 mg of sodium a day. That amount increases to 1,200 mg a day from ages 4 to 8 and 1,500 mg from 9 to 18. 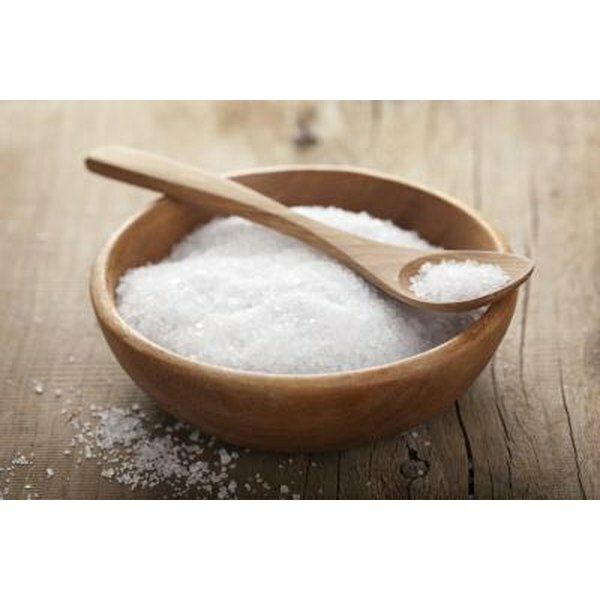 Adults need 2,300 mg of sodium a day, which is equal to about a teaspoon of salt. Your doctor might suggest that you consume less than the recommended amount of sodium if you have certain health risks. If you have hypertension or kidney problems, you might want to consume no more than 1,500 mg of sodium a day. Your doctor also might suggest that you reduce your sodium intake if you are middle age or older. According to the U.S. Food and Drug Administration, 10 percent of the salt you consume is naturally found in foods. Five percent to 10 percent consists of table salt, and around 75 percent comes from processed foods or dishes prepared in restaurants. You can help reduce your sodium intake by using spices and herbs like cilantro, rosemary and dill to season your food. Read food labels carefully to make sure that you are choosing low-sodium products. If you are planning to eat at a restaurant, balance the rest of the day by consuming low-sodium foods. If it is difficult for you to suddenly cut back on the salt in your diet, try reducing your intake gradually. Increase the amount of potassium-rich foods that you eat, such as fruits from vines and leafy green vegetables, because potassium can help reduce the effects that sodium has on your blood pressure. Is Sodium Bad For You?